Wonder what those Alaska stores are doing with their old stock? Maybe John Oliver would move his movie memorabilia to Virginia?! 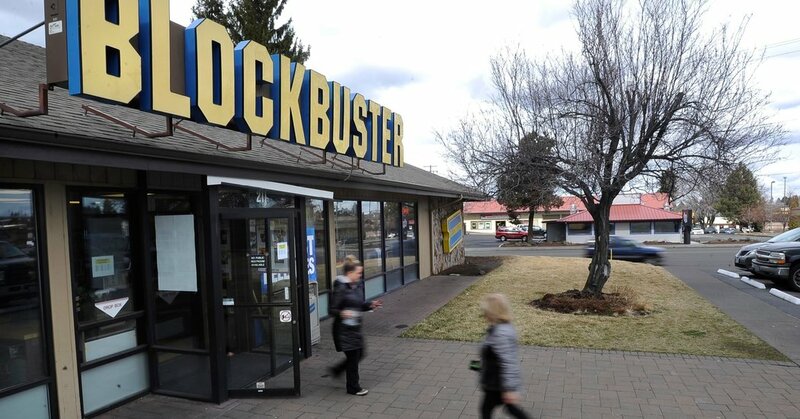 The upcoming closings of two Blockbuster video stores in Alaska will leave one store in central Oregon as the last one in the United States. Now that I’m on the tail end of this trip, I feel like I can finally wrap my head around the last 10 days and gather my thoughts for a blog post. Last week, the Reclaim team met in Bristol for the OER 18 Conference. The entire experience was definitely a mix of ups and downs, but that’s not a result of OER’s doing; I got sick and had to back out of the second day of the conference & my presentation slot. (Ugh, talk about timing.) It was a huge bummer to prepare so hard for something to then not have a chance to share it, but I’m incredibly grateful to be apart of such a solid team that was able to step in for me. Apparently, they rocked the house!